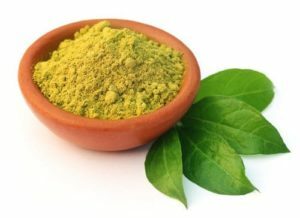 10 Popular Indian Ayurvedic Herbs that are widely used in America – Best of India! With the advent of medicines and modern day technologies, more people are getting affected by the negative side of these discoveries and inventions. As it is said: It doesn’t take long for a boon to turn into a bane(if not used properly), so is the case with pharmaceutical drugs and chemical based therapies. It is during this time of the day that ayurvedic herbs come to rescue. Ayurveda is being practised in India since ancient ages. With the passage of time, Maharishi Patanjali, Sushruta and many scholars have contributed to the science of Ayurveda. 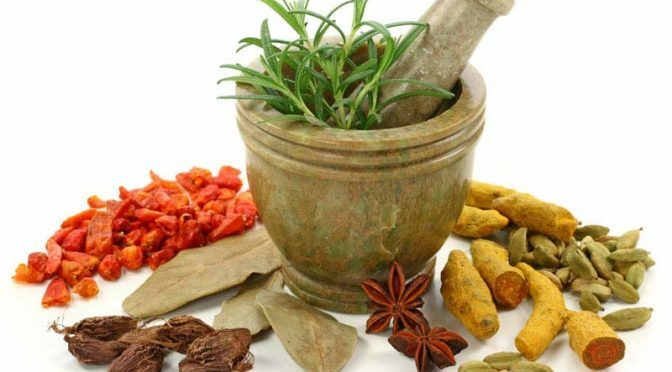 Ayurveda is basically a practice of using naturally occurring herb extracts as ingredients of the medicines instead of using synthetic chemical compounds to cure a disease and to maintain the proper functioning of the body. Ayurvedic herbs act as the natural supplements for the body and are essential for maintaining a positive and healthy lifestyle. These Indian herbs are very popular and are widely used in day-to-day activities. They help to maintain a healthy lifestyle and boost your immunity. The best thing about these drugs is they are easily available in India and most of the other countries. Seeing the benefits of using these herbs, many American restaurants have started to use them in their dishes for their aroma. So, here we have a list of 10 Popular Indian Ayurvedic Herbs that are Widely Used in America. Consuming these herbs in optimum quantity will improve your immunity against diseases and help you in living a healthy life. The first herb on our list of 10 Popular Indian Ayurvedic Herbs that are Widely Used in America is Ispaghula. 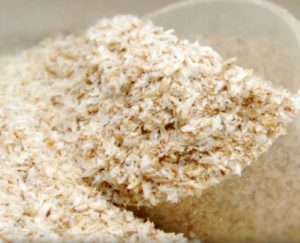 Psyllium husk or commonly known as Ispaghula is widely used in Indian households. It is the most effective cure to treat constipation. It acts as a laxative which helps and improves bowel movement. Ispagula is known for its anti-inflammatory properties and can be crushed and applied at the joints for instant relief from pain. 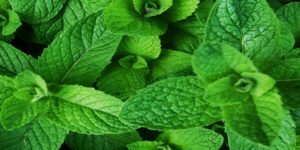 The second herb on our list of 10 Popular Indian Ayurvedic Herbs that are Widely Used in America is Pudhina or Mint leaves. They are used to prepare the chutney or a dip. They enhance the flavour of the food and adds a refreshing essence to it. Mint leaves or Pudhina acts as a blood cleanser. It is a remedy for vomiting, sore throats, headaches and prevents dental problems. It also has anti-bacterial properties and boosts the immunity of the body. The next herb on our list of 10 Popular Indian Ayurvedic Herbs that are Widely Used in America is Turmeric or Haldi. This herb needs no introduction and is a common ingredient for most of the dishes. In powdered form, turmeric gives a yellow colour to the dish and adds a “typical masaaledar” flavour. 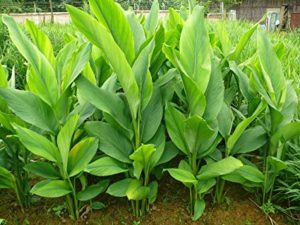 The root and the leaves of the turmeric plant have medicinal properties and is used as an anti-bacterial agent. It has a huge list of health benefits linked to it and is important for healthy living. It relieves the patient from arthritis, joint pains, liver problems, heart diseases and digestive disorders. It does wonder as a beauty product and is used widely in skin care products. It also helps to fight cancerous cells. The fourth herb on our list of 10 Popular Indian Ayurvedic Herbs that are Widely Used in America is Lemon Grass. It is a common ingredient in most of the dishes and is known for its rich aroma and distinct flavour. This herb is widely grown in Northern India and is available throughout the world. Many people add this herb to their morning tea. 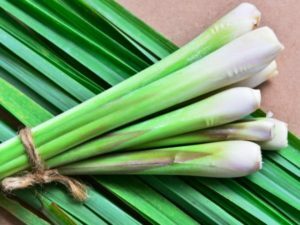 Lemon Grass helps to prevent muscle pain, joint pain, body ache, headache etc. It also helps to deal with the stress and refreshes the body. Henna Leaves is the next herb on our list of 10 Popular Indian Ayurvedic Herbs that are Widely Used in America. Like turmeric, Henna leaves also have a huge list of health benefits linked to them and ensures healthy living. They are loved by Americans for its pleasant fragrance and used as an important component for hair treatment. Henna leaves act as an essential diuretic agent and also used to detoxify the body. They help to cure constipation and reduce pain. They also help in treating skin ailments like boils, ulcers, wounds, fever and menstrual cramps. 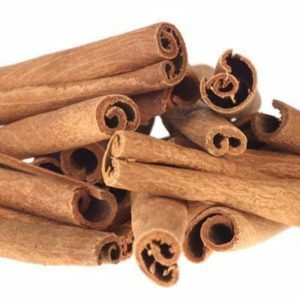 The sixth herb on our list of 10 Popular Indian Ayurvedic Herbs that are Widely Used in America is Cinnamon. It is widely used by Americans in their breads, buns and cakes. It is also a common ingredient used by Indian in most of their dishes. Known for its strong flavour and rich aroma it adds a distinct taste to the authentic dishes. Cinnamon acts as a good detoxifying agent for the body. It helps to reduce stress, pain and stiffness in the body. Cinnamon is used to detoxing the kidney and enhance blood circulation in the body. It also helps in curing respiratory problems. Black Pepper is the next herb on our list. Commonly known as “Kaali Mirch” in Indian houses, it adds a strong flavour and aroma to the dishes. They can be consumed in powdered form or as a peppercorn(dried fruit). They help in curing sore throat and throat related infections. 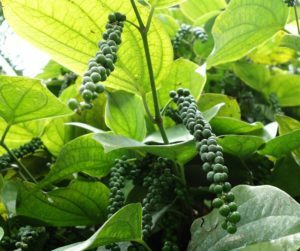 The bark of the black pepper tree acts as a laxative agent and fight parasites and intestinal worms. It helps in dealing with digestive disorders, ulcers, toothache, constipation and headaches. It is commonly used as a seasoning for many dishes like roasted chicken, soups, etc. and is widely used in America. The next herb on our list of 10 Popular Indian Ayurvedic Herbs that are Widely Used in America is Saffron or Kesar. It adds a very mesmerising flavour and colour to the food-centre of many tasty deserts and Bengali sweets. Generally grown in Northern India, this herb is widely used across the globe. It is an essential component to maintain healthy living and is quite popular among Americans. It acts as a skin purifying agent and is used in many cosmetic products. 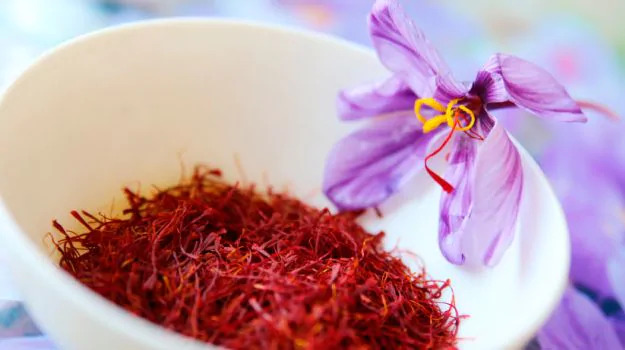 Saffron helps to fight depression and is used as an aphrodisiac. It also helps in proper digestion of food and to treat digestive orders. Saffron is a common home remedy to reduce muscle spasm, treat headaches and haemorrhoids. 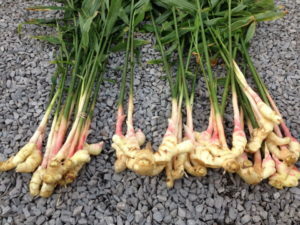 Ginger Root is the next herb on our list. Known for its strong flavour and aroma, it is also a common ingredient of authentic Indian dishes. It is “Grandma’s home remedy” to treat flu season and stay healthy during cold winter days. Ginger root is easily available in all the major Indian stores across the globe. It helps to treat nausea, digestive disorders and is known for its anti-inflammatory properties. It also helps in dealing with other health problems like sore throats, congestion, flu, headache and rheumatism. 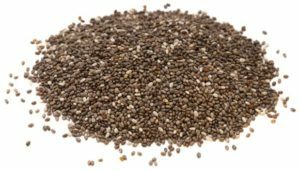 The last herb on our list of 10 Popular Indian Ayurvedic Herbs that are Widely Used in America is Chia Seeds. Commonly known as “sabja” in Indian households, Chia Seeds are one of the best sources of omega-3 fatty acids. They act as an anti-inflammatory agent, is a great source of instant energy in the body and a preferred remedy for skincare. Chia seeds help in lowering blood pressure, strengthens the immune system and improve cardiac health. They are added to everyone’s favourite delicacy “falooda” and act as a cooling agent for the body. Definitely, a great remedy for healthy living! With this, we come to the end of our list: 10 Popular Indian Ayurvedic Herbs that are Widely Used in America. I hope this article helps you in opting for healthy living. All the herbs listed above are easily available in India and are widely used in America. They are easily available across the globe and have lots of health benefits associated with them. So, that’s all from the story. Stay connected to know more!